The Louisiana Educator Voice Fellows participated in their last formal convening in New Orleans in early October. 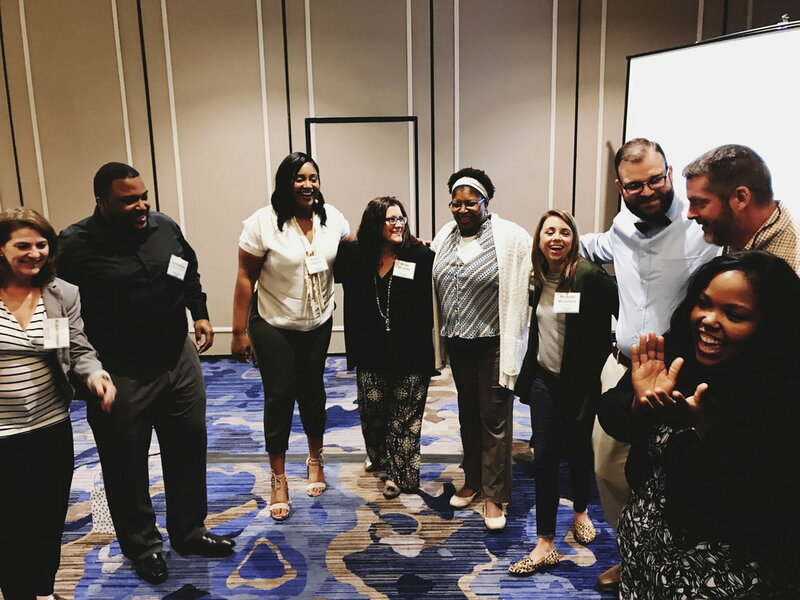 During the convening, this passionate group of educators had the opportunity to hear from students and teachers who are piloting Quest For Success, a new college and career readiness course created by the Fellows, in schools across Louisiana this year. What sets this course apart is the hands-on learning experience for students. Throughout the panel discussion, the students stated over and over again that they like the projects. “We are able to do research and explore in these type of classes,” said one high school student. Project-based learning allows students to learn by doing and focuses the learning on more student-centered projects instead of teacher-centered instruction. This particular group of students shared that their favorite activity in the course so far had been creating a food truck. “The food truck [project] allowed for creativity and teamwork. It was a collaborative effort. We had to develop trust by exploring each team member’s specialty area. Some students were researchers, some were leaders, and others were creative thinkers,” said one of the pilot students. These America Achieves Fellows learned from employers at site visits throughout the Fellowship that if an employer finds an employee who is trainable and wants to work, they can teach them the technical skills. However, it is the people skills, social skills, and communication skills that set new hires apart. These skills will be increasingly important as more jobs become automated in the years to come. Students on the panel said that their experience with Quest for Success helped them with communication, collaboration, and teamwork. These are the same 21st century learning skills that employees have stated are crucial and the same core competencies that were intentionally embedded throughout this course by Fellows. As the Quest for Success pilot continues throughout Louisiana, one thing is for sure: project-based learning creates meaningful and memorable experiences for students. It fosters choice, responsibility, real-world application, and engagement. The work of the Louisiana Educator Voice Fellows will play a key role in driving students in Louisiana towards developing the skills that will help them achieve success in whatever career pathway they choose. Cheri Farrior is the Program Associate for America Achieves Educator Networks.